On behalf of Focus on Energy’s Environmental and Economic Research and Development Program (EERD), Seventhwave collected information from Wisconsin businesses on their light levels and associated lighting system characteristics. This information will help Focus on Energy address savings opportunities from optimizing light levels by identifying appropriate program offerings and resources. The characterization study was comprised of both primary and secondary research. We reviewed studies germane to this project, conducted a segmentation of Wisconsin lighting based on U.S. Energy Information Administration data, interviewed Focus on Energy program staff and a select group of stakeholders, and visited a sample of Wisconsin businesses. 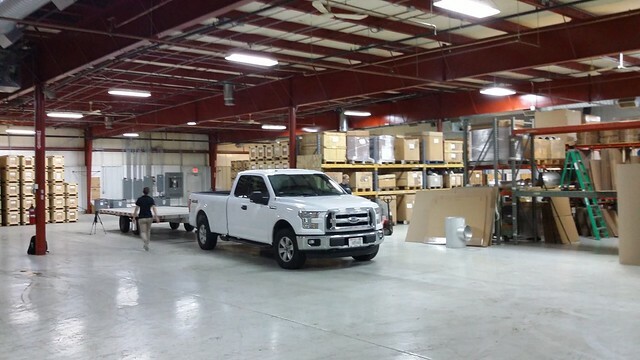 We used the results from the site visits of Wisconsin businesses and data gleaned from our literature review to quantify the potential for energy savings from optimizing light levels (often referred to as illuminance). We distilled lessons learned to clarify effective approaches for Focus on Energy programs to reach this market segment. We visited a total of 40 buildings across Wisconsin. Within these buildings, we quantified the mean illuminance for our sample by space type. LEDs are the only primary lighting type with inherent dimming capabilities, and therefore represent the greatest opportunity for easily adjusting light levels. Since we tracked the primary lighting type of each of our spaces, we quantified the mean illuminance for spaces lit by LEDs. For LED-lit spaces, all space types are overlit as compared to IES recommendations. Warehouse is the only space type for which the IES recommendation lies within the 90% confidence interval. In total, we estimate that adjusting light levels could potentially save Wisconsin 3,991 megawatt hours annually, with the majority of these savings coming from the Office and Education sector. This energy savings is equivalent to 371 typical Wisconsin household’s annual electric consumption,1 reducing greenhouse gas emissions by 3,627 tons of carbon dioxide equivalent, or the equivalent of taking 764 passenger vehicles off the road for a year.2 This annual energy savings equates to nearly $390 thousand cost savings to Wisconsin businesses. We estimated cost effectiveness under two scenarios: a new system associated with a new construction or major renovation project or an existing system. With the exception of Warehouse spaces, the cost savings and associated simple payback of task tuning LED systems are very good. For these cases, we calculate a cost savings of between $0.035 and $0.114 per square foot, resulting in a simple payback of between 0.5 and 1.6 years for the new construction and between 1.0 and 3.2 years for existing system cases, respectively. Due to these short payback periods, we recommend that task tuning be implemented in new construction projects or major renovations in which a dimming system is already planned as part of the design requirements. For the same reason, if a dimming system already exists in a facility, task tuning should be strongly considered as a way to achieve cost-effective energy savings. Task tuning is essentially a tradeoff between energy consumption of a lighting system and light levels in a space. When performing task tuning, it is important to balance energy savings with occupant visual comfort, as tuning that is too aggressive may result in high energy savings at the expense of occupant satisfaction. Complicating this balance is the fact that occupants perceive light levels differently both amongst individuals and under varying situations. Because of this complication, we recommend that task tuning be conducted with occupant feedback in order to balance energy savings and occupant visual comfort. Although this may result in lower immediate energy savings, it would increase energy savings persistence, as facility managers would be less likely to override tuned controls based on occupant complaints. The project was funded by the Environmental & Economic Research and Development (EERD) Program under Focus on Energy, the Wisconsin statewide energy efficiency and renewable resource program funded by Wisconsin utilities. Seventhwave staff who contributed to this project include Doug Ahl, Mikhaila Calice, Scott Hackel, Jennifer Li, Melanie Lord, and Leith Nye.